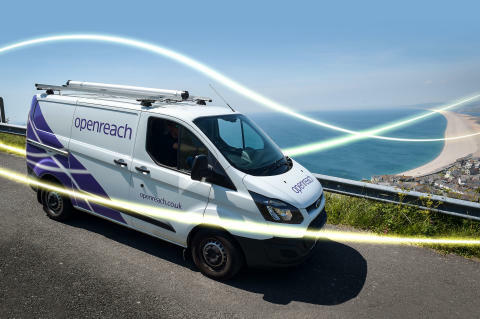 Openreach, Britain’s digital network business, today launched a consultation with its Communications Provider (CP) customers and industry groups about the move from analogue telephony to digital voice services. The consultation will help prepare the industry for the upgrade to ‘Voice Over IP’ technology and the withdrawal of wholesale products and services that run over the traditional analogue telephone network – which is due to close in 2025. Openreach, which provides voice and broadband infrastructure to more than 32 million homes and businesses, and supports more than 600 CPs across Britain, made the announcement after parent company BT signalled plans to migrate all customers from its traditional analogue phone network (the PSTN) to new digital, internet based (all IP) services by 2025. The consultation, which will run until 27 July 2018, will also seek feedback on a new transitional product - known as the Single Order Transitional Access Product (SOTAP) - which will enable consumers and businesses that are currently connected via traditional copper lines to order a pure broadband service which doesn’t rely on the analogue PSTN platform. CPs will in turn be able to supply a digital voice service over the top. Mark Logan, Product Director at Openreach said: “We’re launching this consultation because we’re committed to play a leading role in helping the industry move from analogue to digital products by 2025. “As our customers demand faster and more reliable connectivity, we’ve already accelerated our plans to build more Fibre to the Premises (FTTP) broadband technology across Britain, and we expect to reach three million premises by the end of 2020. At the same time, we’re developing new, digital, broadband-only products that will no longer rely on BT’s ageing analogue voice platform. Over the last year, Openreach has been trialling two ‘broadband-only’ services which are due to launch later this year. Single Order GEA (SOGEA) and Single Order Gfast (SOGfast) both offer similar connectivity to the company’s existing Fibre to the Cabinet (FTTC) services, but without the need for a bundled analogue voice product. The move to digital is part of an international trend amongst telecoms providers preparing for analogue platforms like the PSTN to become obsolete. David Wilkinson, Director of Technical Services at the British Security Industry Association (BSIA), said: “We are encouraged to see Openreach consulting with industry in preparation for the migration of analogue telephone services to an internet-based system. Before the end of May 2018, Openreach will be holding a series of events at venues in London, Birmingham, Leeds and Edinburgh to explain the consultation to customers and industry groups and listen to feedback which may form part of their formal consultation response. The PSTN supports a number of Openreach’s wholesale products including: Wholesale Line Rental; Integrated Services Digital Network; Local Loop Unbundling Shared Metallic Path Facility and Sub-Loop Unbundling Shared Metallic Path Facility. (See editor’s notes for product explanations). The PSTN allows calls to be made all over the world using analogue voice data. It consists of copper telephone lines, fibre optic cables, microwave transmission links, satellites, undersea telephone cables and mobile networks. The PSTN has evolved from a network of fixed-line analogue telephone systems to an almost entirely digital network. Whilst the PSTN requires physical lines, IP telephony is all digital and requires nothing more than the internet to be fully operational. WLR3 enables CPs to offer their own-brand telephony service over the PSTN copper network. Openreach provides, maintains and repairs the lines so that CPs can supply services to their customers, without having to maintain a network themselves. An ISDN service is a telephone-based network system that transmits voice and data over copper wires. ISDN enables customers to make phone calls while transmitting files and videoconferencing, but has now been superseded by much more reliable and faster broadband and Ethernet services. There are two types of ISDN: ISDN2 and ISDN30. ISDN2 comes in two variants; ISDN Standard and ISDN System and can deliver two simultaneous 64kbps connections over a single line.ISDN30 offers speeds of 64kbps over up to 30 channels per bearer. Shared Metallic Path Facility (SMPF) enables CPs to offer broadband services over a WLR line while another CP (or the same CP) supplies voice services on the same line – hence it being “shared”. Sub-Loop Unbundling (SLU) provides access to an access point in the local network (usually the Openreach street cabinet) to enable SLU CPs to connect to their Fibre network, providing voice services over copper and broadband over fibre.